For some time, meaning a quite a few years in this instance, I have struggled with how to identify myself on the paradigmatic timeline of the stages of a woman’s life. I am well past menopause, but I neither look nor feel old nor haggard. I have tried to live with the Crone but I am not her, not yet, not for a long while yet the goddesses willing. Just in the past few days I have come upon the designation of Queen as an intermediate between Mother and Crone. I realise this is not a new idea, it has been floating about for many years, only it hadn’t until last week floated to me. I am a believer that things come to one at the right time and not before, no matter how impatient I am, if an issue is not ready or I am not ready for it, then it’s not going to arrive. That has caused me much grief and pain in the last several years, but it is one of the truths of my life. There are things I could not do when I was not whole enough to do them, not present enough to present myself. (I hope you caught the change in inflection there). Two days ago I went to the local small orchard woodland space on the near edge of the village. 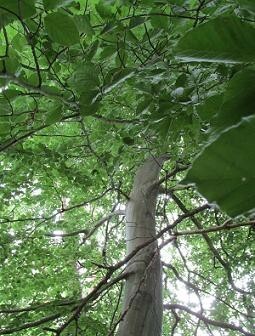 I went to the Beech tree who has been companioning me for several months. After discovering the Queen paradigm or archetype, whichever — and there is probably an important technical difference between the two — I had to seek her out, because I sensed the reason she had been nudging at me to come into communion with her. I had no expectations of the encounter, when I approached her, I went ready to be . . . What happened was a remarkable incidence of relating to another being at a profound level. 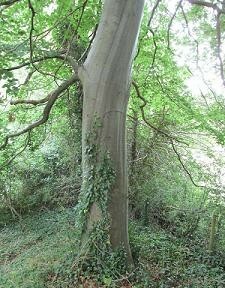 I have had deep and profound encounters with Yew trees, for which I have always had an affinity, and for many years I have been struck by the sensual beauty of the Beech tree. I just never thought it related in any way to me personally — how wrong, but it was not then time. I could not have handled the influx of energy, the depth of the knowing, the intensity of the revelation. In reading about and exploring intellectually the new paradigm/archetype it seemed that it was a fit, one that had been missing. But it was not tangible, tactile, tensile. I was not able to hold the reality, feel the reality, experience the tension upon which such a reality balances and exists. Then I followed my intuition, always strong and getting stronger as I’ve gotten stronger, and went to see Her. She opened her heart to me. In so doing, She changed my life forever. I felt my presence and power. in our presence and power.